MEGE TEKNIK is a privately owned company focusing its activities on the Defence Industry. With its long years experienced engineers and technicians, the company offers cable harness and wire harness design, prototyping and manufacturing services. MEGE TEKNIK produces and tests all cable assemblies and wire harnesses according to military specifications and special customer requirements. The company’s premises occupy an area of 2000 square meters and it employs 5 senior engineers and 80 qualified technicians in accordance to military workmanship. Some of the Aerospace and Defense projects concluded by MEGE are as follows: Installation of Avionic, FLIR systems and Radio Communication Devices to BlackHawk and Cobra Helicopters - SGD Engineering; PCB Design and Manufacturing - Marconi Selenia Communications; Manufacturing of Tank Cable and Harnesses - FNSS Defense Systems; Manufacturing of Cable Harnesses - ETA Electronic Industries; Manufacturing of Avionic Cable Harnesses - Havelsan. MEGE is ISO 9001:2000 and AS 9100 certified. 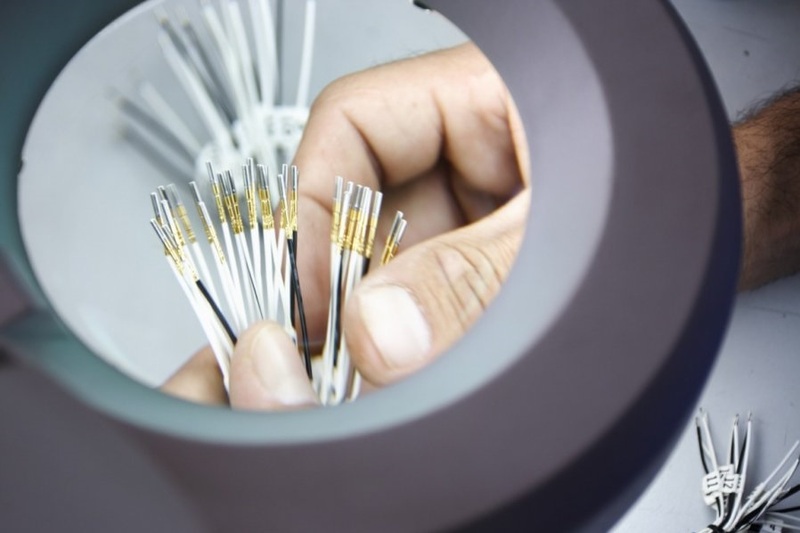 They apply the following workmanship and standards in their process: IPC J-STD-001, Requirements for Soldered Electrical and Electronic Assemblies; IPC/A-610, Acceptability of Electronic Assemblies; ANS/ESD S20.20-1999, ESD Program for Protection of Electronic Parts, Assemblies and Equipment; IPC/WHMA-A-620, Requirements and Acceptance for Cable and Wire Harness Assemblies.